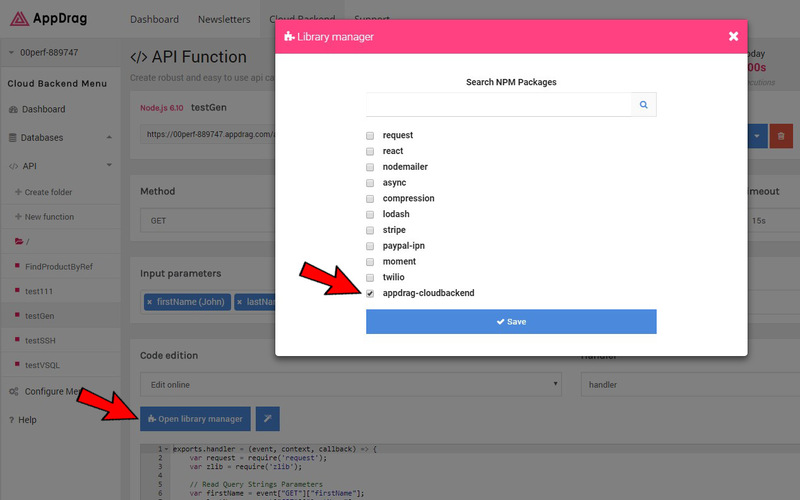 If your are inside a cloud function in CloudBackend, click on the "Open library manager" button then check the last checkbox named "appdrag-cloudbackend" then save. You can also use sqlExecuteRawQuery to create tables, add an index or anything you can do with a regular MySQL database. 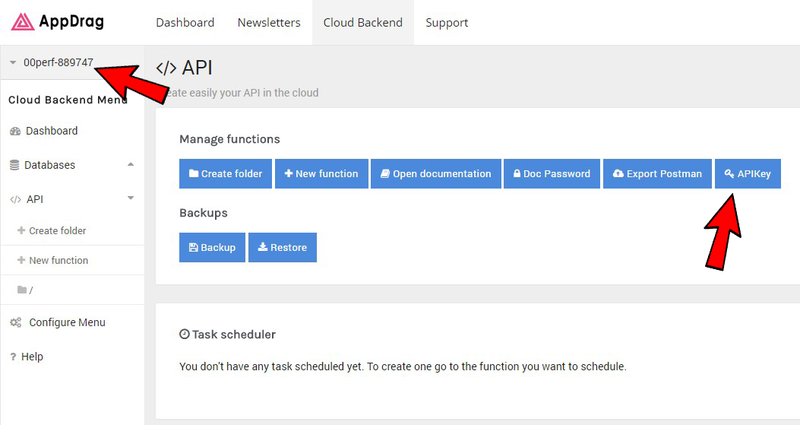 This special function must be called to save a file uploaded to a cloud function in the CloudBackend storage for that AppID. in the destkey you can either indicate a destination path of your choice or use the original filename.